For the third year in a row Warriors and Rodeo was invited to attend the 1000 Miles Till Home banquet in Decatur, Texas during the Warriors and Rodeo Patriot Week. 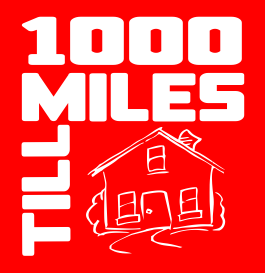 1000 Miles Till Home is a 501C3 nonprofit organization that gives homes to disabled combat veterans. They partner with the WC Challenger Charities to honor those who serve at the PBR event on Saturday night of that week in Decatur, Texas. Warriors and Rodeo has two bull riders who ride exhibition bulls during the half time show of the PBR. It is an incredible experience for them to be honored by the PBR Decatur fans and professional bull riders. We appreciate their support and look forward to working with them for years to come.